Thanks to the evolution humankind has gone through, we’ve been able to produce whatever we felt the need of throughout the centuries. That’s how we ended up with so many useful tools that are meant to save us the effort and time. This is also the case with cleaning out, and restoring, all sorts of surfaces, and preparing them for paintwork – all with the help of sandblasting. If you’ve tried out your sandblasting skills, you were probably as impressed as I was in finding out exactly how powerful the whole process is, and every other surface cleaning and paintwork prepping process, such as wire brushing, and the use of rust neutralisers, pales in comparison. 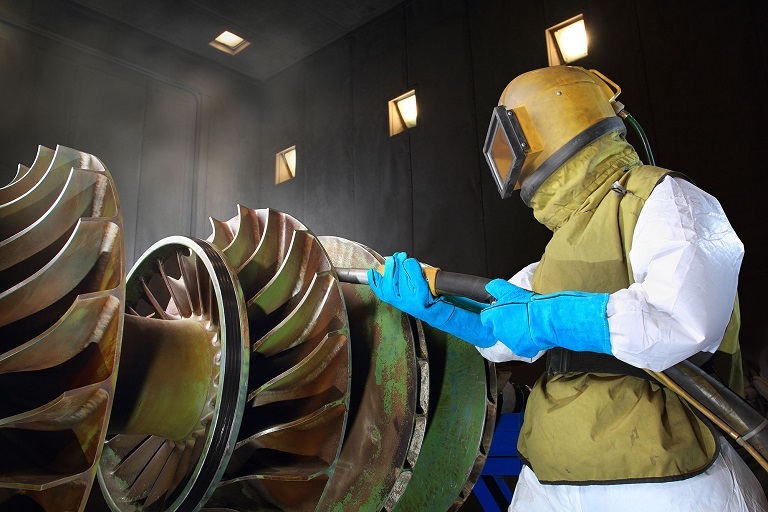 An air sandblaster has the power to clean and blast away rust, or corrosion that may have cropped on your belongings, no matter the materials they’re made of, so you’d increase your workmanship by getting things done in no time. The steps to improve your sandblasting skills basically have to do with improving the sandblasting speed, and not so much in the abrasive used (if you don’t want to put your health at risk, steer clear from silicone sand and use mild choices like soda). The key to success is to try to avoid making the mistake many do, which is putting way more media into the air stream than necessary thinking it would speed up the process. What this does in turn is slow down velocity, and when this happens the media loses its force. If you want to have it done right from the start, make sure the media flows at zero. Then again, the optimal performance also has to do with the pressure you sandblast at, and the kind of sandblast nozzle your air sandblaster has; the bigger the nozzle, the bigger the size compressor needed. As first, you have to choose everything carefully based on the depth of profile and the sandblasting surface you’re working with, so you can know what the pressure range would be, and you’d easily be able to choose the highest pressure out of that range) and maintain it throughout sandblasting for the desired outcome. A bigger diameter hose for the sandblast nozzle can help you out in maintaining the highest pressure. Speaking of the sandblast nozzle, the airline used for the sandblast pot has to be much larger than the nozzle itself (about four times). As you can see, it’s in fact the sum of all these things together, and of course, it all depends on the surface itself and the profile you have in mind of getting, so take everything into account before you start your DIY project.